Make your eyes very very big, or very very small, instantly! 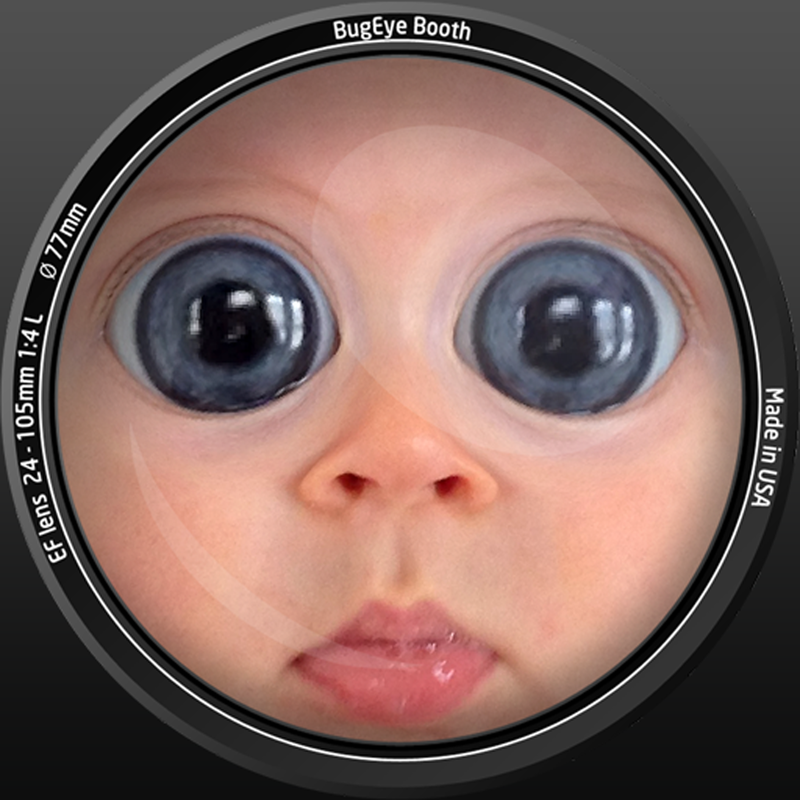 Take a photo using BugEye Booth, or select photos from your iPhone/iPod Touch photo library, and see what you, your friends and anyone else looks like with huge or tiny eyes. Get that super-cute melodramatic look, or make yourself look like a bug and turn your friends into aliens! Then amaze them by sharing the results on Facebook, Twitter or by email. It also works just as well on photos with multiple people, so you can choose to implement the effect on one or more faces. The app allows you to set your eye size as large or as small as you like, so you can alter your look dramatically or test how much you can change before people start to notice! It's very simple to use - just snap or select a photo and be transformed in seconds. Choose to save the images directly to your photo library or share them via Facebook, Twitter and email easily without leaving the app. It works on everyone - babies, kids and adults alike. Enjoy hours of entertainment testing the app on your friends, family and your favourite celebrities!